Coal-fired power plants have propelled much of China’s economic rise for decades, helping make the nation the world’s biggest emitter of greenhouse gases. 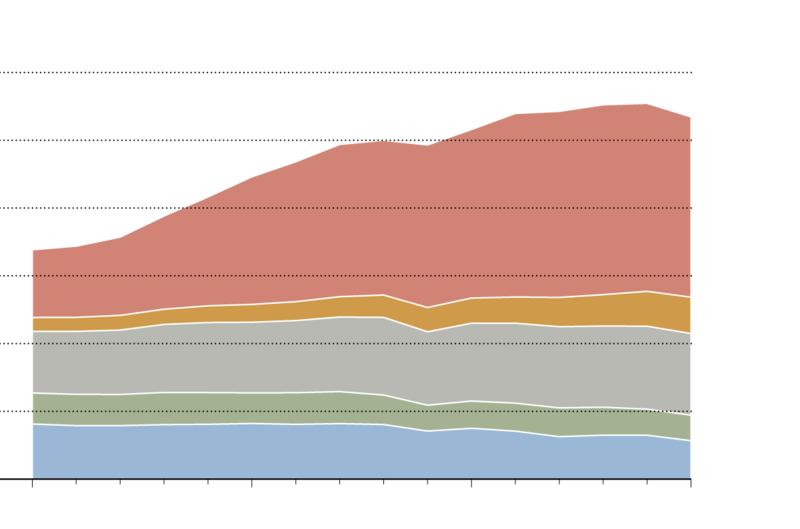 Even with economic growth slackening, and other energy sources taking hold, new coal plants have been added. Now Beijing is trying to slow things down. In guidelines released on Monday, China halted plans for new coal-fired power stations in many parts of the country, and construction of some approved plants will be postponed until at least 2018. The announcement, by the National Development and Reform Commission and the National Energy Administration, means that about 200 planned coal-fired power generators — those seeking approval and those approved but not yet under construction — may not be completed, said Lauri Myllyvirta, who analyzes China’s energy production for Greenpeace. The total of 105 gigawatts of power those plants would have been able to produce is considerably more than the electricity-generating capacity of Britain from all sources. Although China is by far the largest single consumer of energy from coal, and the country continues to build new coal-fired plants at a rate not seen in a decade, coal consumption in China is beginning to decline. On Monday, China announced new measures that would halt the planned construction of about 200 new coal-fired power plants. Electricity generated from fossil fuels like coal is the biggest single contributor globally to the rise in carbon emissions, which scientists say is causing the earth’s temperature to rise. Leaders from 175 countries, including China, gathered in New York on Friday to sign the Paris climate accord, which aims to halt and eventually reverse the rise in carbon emissions, keeping the increase in global temperatures below 2 degrees Celsius, or 3.6 degrees Fahrenheit. 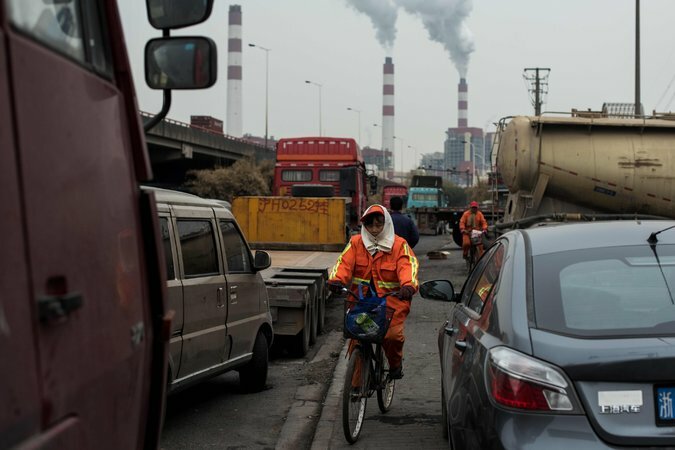 China, by far the world’s biggest emitter of greenhouse gasses, is aiming to reach a peak in carbon emissions by 2030. A recent economic slowdown, policies to discourage coal-fired power plants near big cities, and a huge investment in wind and solar energy capacity helped reduce coal use in China last year. But even as coal becomes unpopular in China, the country’s biggest state-owned electricity generators are adding new coal-fired power plants at a pace not seen in a decade, said Mr. Myllyvirta of Greenpeace, which is acknowledged as an authoritative analyst of China’s energy production. Such plants add to existing overcapacity, he said. 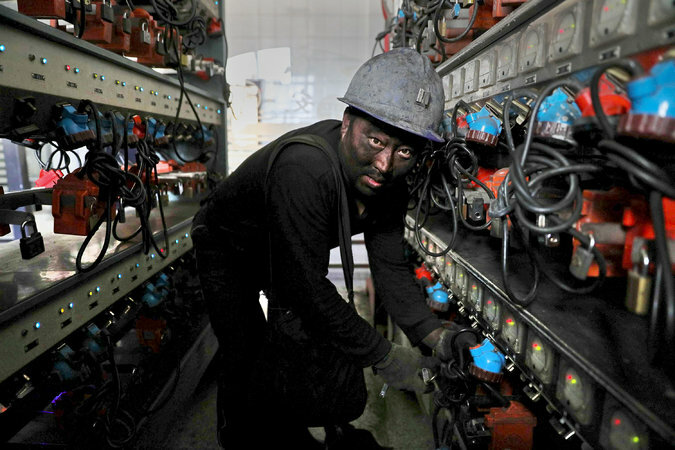 A coal miner in Liaoning Province, China. An economic slowdown, policies to discourage coal-fired power plants, and a huge investment in wind and have helped reduce coal use in China. The announcement does not stop projects already under construction, which amount to about 190 gigawatts of new coal-fired power generation, he said. “It’s definitely a positive step, but it’s not even enough to prevent the overcapacity from getting worse,” Mr. Myllyvirta said. While the curbs on new coal projects, if rigorously enforced, may help China meet its long-term goals on climate change and air pollution, the primary motivation for the move appears to be short-term economic considerations. A coal-powered station in Shanghai. China is discouraging such plants near big cities and is pushing renewable energy sources, but its overall number of coal plants continues to grow. 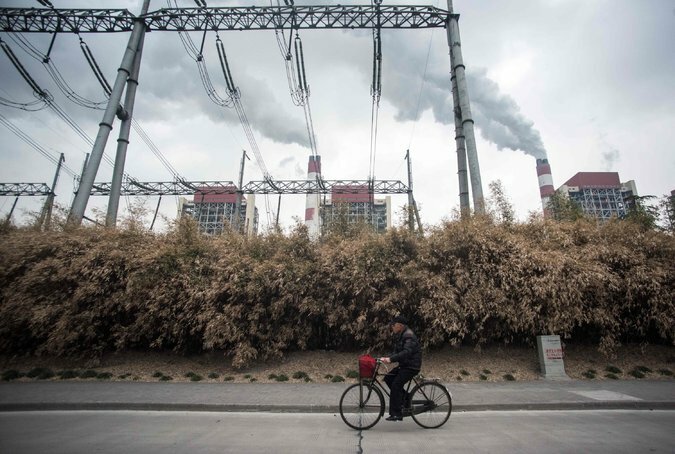 In the face of the slowest economic growth in a quarter-century, electricity demand has fallen so sharply in China that some coal-burning power plants are operating only 40 or 50 percent of the time. Construction of wind turbines and solar panels has also eaten slightly into the market share of the coal plants. Yet in China’s highly regulated power industry, market signals are weak, and planning and construction of new power plants had continued apace, pushed forward by local governments eager for the construction jobs and expanded tax base. With its new decrees, the central government seems to be trying to halt the development of power plants that might well be underused if they were built. Mr. Hodge, the consultant at IHS Energy, said that as of two weeks ago, there were 1,200 new coal-fired plants on the drawing boards in 59 countries, mostly in Asia, and China was the single largest contributor. A coal plant in Shanghai. Electricity generated from fossil fuels like coal is the biggest single contributor globally to the rise in carbon emissions. The guidelines, dated March 17, state that 13 provinces and regions, including top coal producers like Shanxi and Inner Mongolia, as well as the southern economic powerhouse of Guangdong, should “strictly control” new capacity, delaying the approval of new projects until after 2017. A slightly longer list of provinces — 15, with considerable overlap — were told to put off construction of approved projects that had not yet broken ground. In both instances, an exception has been made for projects aimed at the “people’s livelihood,” a phrase that was not explained but may include measures like providing steam heat to homes in wintertime. The government announcement also calls for an acceleration of the closing of outdated coal-fired plants that use older, dirtier technology. But China is adding about 1 gigawatt in coal-fired capacity a week, Mr. Myllyvirta said, as companies that have easy access to loans from state banks build new plants. That is in stark contrast to the United States, the world’s second-biggest carbon emitter, where it has become increasingly difficult to build new coal-fired plants under the Obama administration. Last year, almost 14 gigawatts of coal-fired capacity was retired in the United States, according to the Energy Information Administration in Washington. At the same time, there are only six new coal-fired plants on the drawing boards in the United States through at least the next five years, with a total capacity of less than 2 gigawatts, according to the agency. In China, however, as coal prices drop, the big state-owned electricity generators are benefiting because highly regulated electricity prices have not fallen in tandem. Because of the political power of the coal industry and the falling price of coal, larger percentages of wind- and solar-generated electricity are not being put on the grid, a phenomenon called curtailment. To combat this, the Chinese government has recently issued a directive for operators of coal-fired plants to pay operators of wind and solar plants whose electricity is not used, the Paulson Institute, a policy group focused on China and based in Chicago that was founded by the former Treasury secretary, Henry M. Paulson, wrote last week.